← Toronto Maple Leafs fire Ron Wilson: Why Now? 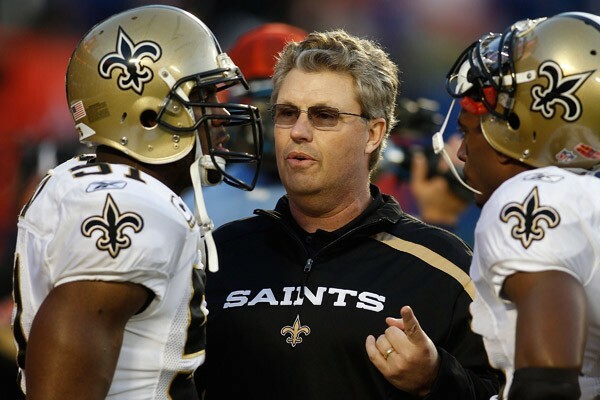 So it looks like the New Orleans Saints aren’t the “Saints” that they’re all cracked up to be. Dating back to early 2009, the New Orleans Saints of the National Football League have operated a bounty system in which defensive players would be rewarded financially for taking out members of the opposing team. 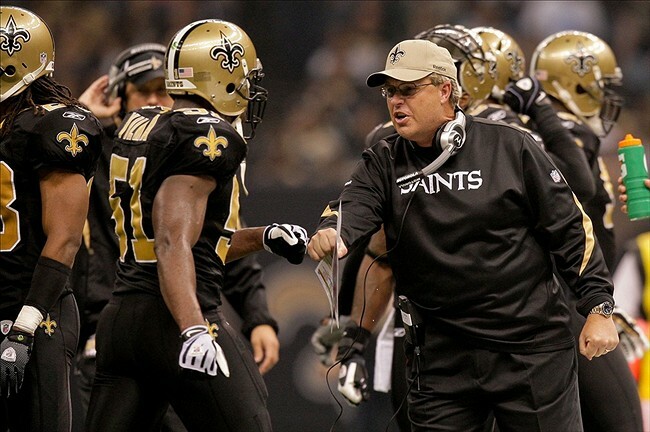 Between 22 and 27 members of the Saints roster as well as former defensive coordinator Greg Williams (now with St. Louis) pooled their own money to pay out the bonuses. Players were given $1000 for getting an opposing player carted off the field and $1500 for knocking a player out. The money was then doubled if the play was made during the postseason. Head Coach Sean Payton and General Manager Mickey Loomis were all aware of what was transpiring and still did nothing to halt it. This is big. This is huge. This is horrible for the NFL. My opinions on “Bountygate” have changed over the past few days. Originally I figured this to be nothing more than a transgression that half the league was probably already doing. Now that I have truly evaluated the situation, I realize that this is way more serious than I initially thought. When you look at the specifics of what “Bountygate” really is, it doesn’t appear to be that horrible. Football is a violent sport. Players are injured during on the field action on a regular basis. The job of the defense is to secure tackles, make plays and hurt the opposing team. So what if they’re making a little pocket cash on the side? They make millions upon millions of dollars as it is. Do you really believe a couple grand is enough incentive to want to physically hurt another player? I thought wanting to inflict some damage on the opposing offense as a strong-willed defender was reason enough. This is what players do. It wouldn’t shock me to hear that all of the other 31 teams in the NFL had some sort of system in place similar to what the Saints were doing. The only difference being that New Orleans got caught in the end. To see the damage of what this system has done, all you have to do is look back at the Saints Super Bowl run in 2009. During the NFC Championship game against the Minnesota Vikings, Saints defenders deliberately went after QB Brett Favre with hopes of eliminating him from the game. The hits were low and the hits were frequent. I’m not saying that what the Saints did tarnished their eventual Super Bowl victory, but the constant late hits and sometimes illegal hits on Favre and even Kurt Warner in their first playoff game did play a part in both outcomes. What they did was wrong, but it isn’t enough for me to taint their championship run and put an asterisk next to the win in the record books. With Commissioner Roger Goodell’s push for safety in the game of football, this story of bounty hunting by the Saints organization becomes that much more of a big deal. Goodell needs to protect his players at all costs. If he has players trying to physically injure others for the benefit of cash rewards, than he needs to put a stop to it right away. 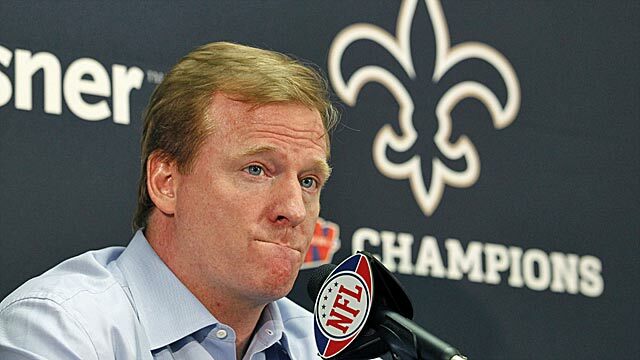 Goodell needs to make an extreme example out of the New Orleans Saints. Should the players involved be punished? I don’t think so. Athletes are a product of the coaching and management that surrounds them. If you have your defensive coach offering you money and incentive to go out on the field and take somebody out, then you do it. It just makes your role on the field that much more exciting. The head coach wasn’t stopping it, so who cares right? It would be hard enough as it is to single out specific players and deal out suspensions anyways. The 3 names that need to be punished are Payton, Loomis and Williams. These are/were the leaders of the Saints organization. These are the men running the football team. They call the shots and set guidelines and boundaries for the players. How stupid do you have to be to not only start and organize this bounty, but let it continue? Did they not figure it to be a bad idea? They made their bed and now they have to lie in it. So what should Goodell do? In my opinion, taking away draft picks and fining the staff isn’t enough. This goes way beyond just a slap on the wrist. Payton, Loomis and Williams should all be suspended for at least half of the season if not longer (Williams especially. Sorry Rams). The Saints should lose all of their draft picks in the first 3 rounds. Heavy (and I mean heavy) fines should be dished out as well. 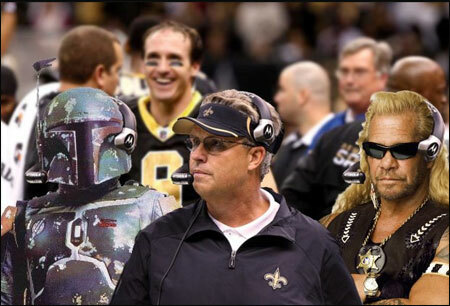 I would even dare to say that the Saints should be banned from the playoffs in the 2012-13 season. I realize that I’ve probably downplayed the severity of Bountygate, but that doesn’t mean that the issue doesn’t need to be addressed. If Goodell can make an example out of the Saints in such a way that no one in their right mind would ever think of doing something like this again, than the league will be better for it. There is no place in the NFL for bounty hunting. Hard hits? Sure. Just get rid of the undercover payments on the side. This entry was posted in NFL and tagged Bounty, Bounty Hunting, Bountygate, Brett Favre, Entertainment, Football, Greg Williams, New Orleans, New Orleans Saints, NFL, Roger Goodell, Sean Payton, Sports, Super Bowl. Bookmark the permalink. Couldn’t have happened to a more obnoxious fanbase. I wrote about this topic over at http://breslinsports.com — hope you give it a read!